Behind The Scenes With Luke & Ash !!! Hopefully I can do this yearly because it is so much fun! 2015 has been such an incredible year! 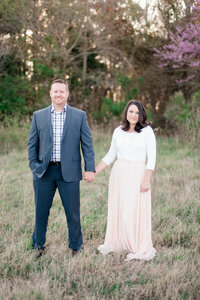 With one more elopement to go and a couple more sessions… We are finally winding down. Luke & I have our moments at weddings. Working with your spouse is definitely challenging at times! We each have our own ideas and unique way of approaching different situations. However, no matter what we face.. We put a smile on and get through it! The number one thing I think we struggled with this year was our communication. One thing I am terrible at is reading lips…. and one thing Luke is terrible at is hand signals! So this year I think it is time for radios. Except I am not 100% on board because I know with my husband he will be using code words and we will have code names. Shooting weddings together has definitely been a marriage building experience. Communication is key and learning to compromise with one another is crucial. And yet… At the end of the wedding day when we kick off our shoes and collapse on the couch… We feel accomplished. We talk about the good things that we did and the things we could have done better. We are truly a team and 2015 has made us into a better one! We just don’t know about it! Poor Brittany… She didn’t know what to think of us! Luke says I need to work on my resting face… I think he’s right! Not sure what’s going on here… But it’s intense! Us trying to be cool in the car before weddings! Me hitting the dance floor! Please tell me I am out of your shot Luke! This little cutie LOVED her some Luke! I am of course am in the lead! That Time I pretended to be a regular mom shooting pics of her kids while in all seriousness… I was shooting a surprise proposal! I knew these kids of mine would come in handy! Love me some Jessica! She was seriously the best assistant EVER and I am going to miss her as she has now moved to PA!! 🙁 Our Hands On Lighting Workshop really took off and we cannot wait to offer some more here in 2016! If I ask you to get in the water… I will get in the water too! And of course the Beasley Kids! Anyone who knows us Knows that if it is a regular portrait session our kids will be in tow! And of course some shenanigans along the way! I am blessed to be able to bring them along and we have so much fun together as a family! Early Sunrise Sessions call for Beach in your Pajamas! Dad Trying to round up the gang and all the silliness! We work with some fun Vendors! And Lastly… That time Luke photobombed a family picture…. Where’s Luke??? « Family Session Giveaway Winner Announced!